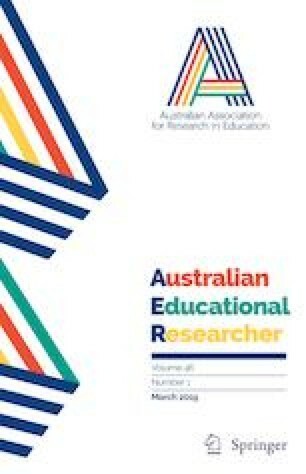 This research used the responses of 187 Tasmanian teachers to a questionnaire comprising 52-Likert-type items, two multiple-choice items, and two open-response items to investigate differences in teachers’ beliefs about aspects of schooling related to students’ secondary school completion. Exploratory factor analysis of responses to the Likert-type items identified 3 factors underpinning teachers’ responses. These were (1) Student and parent aspirations, (2) Teacher and school quality and support, and (3) Expectations for continuing education. Two-way ANOVAs showed that primary school teachers scored higher on average than secondary teachers for student and parent aspirations, and that there was an interaction between level of schooling and Index of Community Socio-Educational Advantage (ICSEA) for this factor. Descriptive statistics were used to compare responses to the multiple-choice items of teachers at different levels of ICSEA and schooling. Open-response items were categorised in two ways (1) as related to pastoral, academic, or engagement matters, and (2) as negative or positive in relation to each of students, parents, and teachers. The results highlighted less academic and more pastorally focussed cultures in Year 7–10 schools compared with Year 11–12 schools and relatively low expectations for university study across the levels of schooling. The findings implicate teachers’ beliefs about students and their families as crucial to influencing educational aspirations and attainment. This project was funded by an Australian Research Council Linkage Grant LP110200828 and Industry Partner, the Department of Education Tasmania. This is a good school/college. Australian Bureau of Statistics. (2011). Measures of socioeconomic status. Canberra: Commonwealth of Australia. Retrieved from http://www.ausstats.abs.gov.au/Ausstats/subscriber.nsf/0/367D3800605DB064CA2578B60013445C/$File/1244055001_2011.pdf. Australian Bureau of Statistics. (2017). Data by region. Retrieved from http://stat.abs.gov.au/itt/r.jsp?databyregion/. Australian Curriculum, Assessment & Reporting Authority. (2012). My School. ACARA. Retrieved from https://www.myschool.edu.au/. Australian Curriculum, Assessment & Reporting Authority. (2013). Guide to understanding 2013 Index of Community Socio-educational Advantage (ICSEA) values. ACARA. Retrieved from http://docs.acara.edu.au/resources/Guide_to_understanding_2013_ICSEA_values.pdf. Australian Curriculum, Assessment & Reporting Authority. (2017). School profile 2017. Retrieved from https://www.acara.edu.au/…/school-profile-20172c7b12404c94637ead88ff00003e0139.xlsx. Cranston, N., Allen, J., Watson, J., Hay, I., & Beswick, K. (2012). Findings from a pilot study into student retention beyond year 10. Paper presented at the 2012 Australian Association for Research in Education Conference, University of Sydney, Australia. Refereed Conference Paper retrieved from http://ecite.utas.edu.au/82772. Eslake, S. (2016). Tasmania Report, 2016. Tasmanian Chamber of Commerce and Industry. Retrieved from http://www.tcci.com.au/getattachment/Events/Tasmania-Report-2016/Tasmania-Report-2016-FINAL.pdf.aspx. Hardre, P. (2009). Nurturing the rural teacher experience: Lessons from the United States. Paper presented at the International symposium on innovation in rural education: Improving equity in rural education, University of New England, Australia. Retrieved from http://www.une.edu.au/simerr/ISFIRE/pages/ISFIRE_proceedings.pdf-page=174. West, J. (2013). What’s wrong with Tasmania, Australia’s freeloading state? Crikey, Jan. 30. Retrieved from https://www.crikey.com.au/2013/01/30/whats-wrong-with-tasmania-australias-freeloading-state/. Willms, J. D. (2003). Student engagement at school: A sense of belonging and participation: Results from PISA 2000. Retrieved from http://www.oecd.org/education/school/programmeforinternationalstudentassessmentpisa/33689437.pdf.